Use a whisk to create a smooth pancake batter. 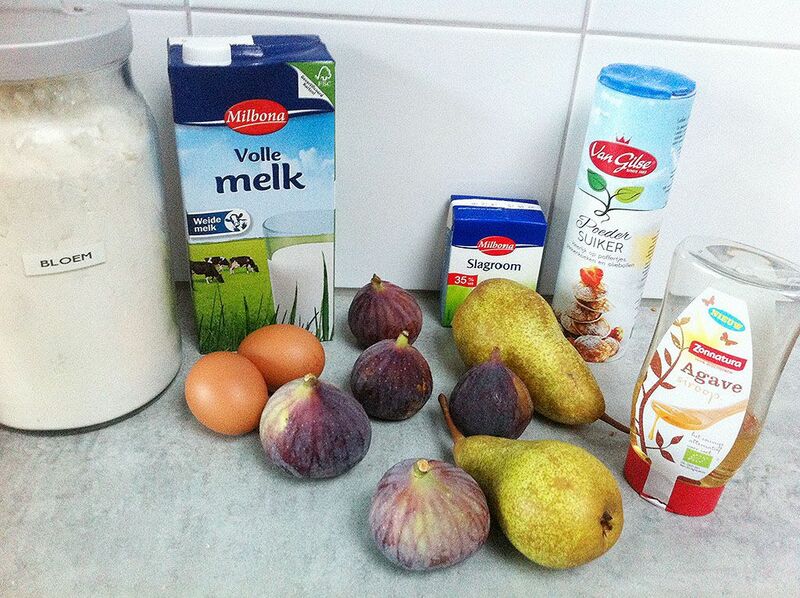 Start mixing the eggs and full fat milk. Gradually add the all-purpose flour. If you would like to be extra sure the flour won’t create lumps, you can sift it first. 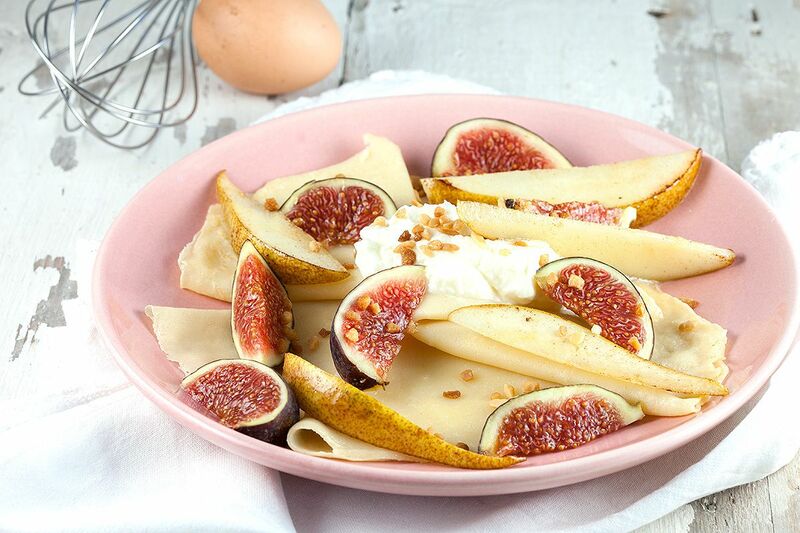 With only 3 ingredients you can already have tasteful pancakes or crepes. WHIP up the cream and sweeten with powdered sugar. HEAT a little bit of butter in the skillet and use the soup ladle to add some batter to the skillet. Make sure it’s really thin, almost see-through, you can reach this by pouring the excess batter from the skillet immediately back into the bowl. Don’t let the crepes get any color, because in school they learn us the less color it has, the better the crepe is. Turn and let it cook for just a minute on the other side as well. REPEAT until you’ve used all the batter. You can also cook the pear pieces for a minute in the same skillet if you like them a bit warm. 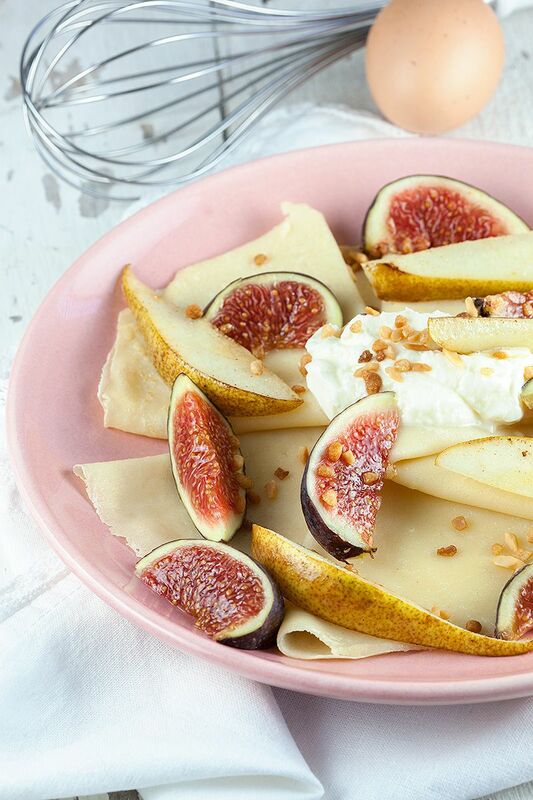 FOLD the crepes twice and divide over 4 plates. 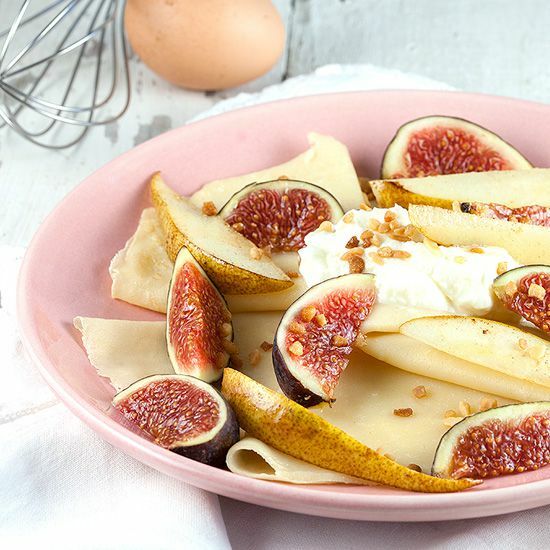 CUT the figs and pears in pieces and divide over the crepes. Finish it off with some whipped cream, nuts of your choice and if you like some honey or syrup. Enjoy your meal!